We was asked by Rosy Apple Childcare to provide a proposal to revamp their website, RosyAppleChildcare.com. Rosy Apple Childcare decided to go ahead with us to create their website. As with all websites we create, the user experience and flow is very important to us, not just the look and feel of the design. One of the unique points of the website was to encoporate 5 nurseries under the Rosy Apple Childcare group. The website covers general concepts, such as Reggio Emilia and the principles of Rosy Apple childcare, whilst each nursery has their own page containing the unique aspects that they offer. The website integrates with a 3rd party provider for the reviews that are available and unique for each nursery. As well as each nursery having their own contact page. 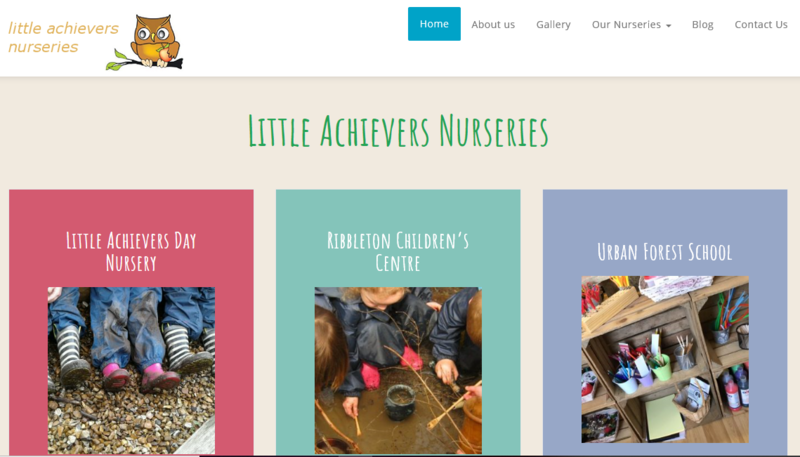 Website created for Rosy Apple Childcare – little achievers.